Hanford Lodge No. 1543 was founded on July 27, 1929 by Joe Zecchitella. There were forty-two charter members with the first Venerable being A.S. Ambrosini who served from 1929-1932. Joan Little, the youngest child of Venerable Ambrosini was born on the day of the first Lodge meeting. We call her the “Lodge Baby”. For a short period of time Hanford had a second Lodge which was comprised of women only. The Lodge was No. 1563 Rosa d’Italia. It was founded on January 26, 1930 with 54 members. The first President of the Lodge was Virginia Filippi. Rosa d’Italia merged with the Hanford Lodge on April 27, 1932. We are fortunate to have many of the artifacts since our Lodges inception. We also have records dating back to April 13, 1932. The minutes were all in Italian until January 11, 1948. Each meetings minutes were recorded in a “Record Book” with numbered pages. Unfortunately, the first 100 pages of the records which was the entire presidency of A.S. Ambrosini were torn out of the book. The official records start with Jack Filippi as Venerable. The first Financial Secretaries Report completed by Financial Secretary - Virginia Filippi on May 25, 1932, showed a balance of $1,095.71 (which is the equivalent of almost $18,000 today). The form used by the Financial Secretary is just about the same as it is today except it was all in Italian. Copies of these forms have been preserved along with the minutes. In the Lodges early days, the meetings started at 8:00 p.m. and usually lasted until 10:30 or 11:00 after which the members either danced, played cards or Bingo until the early morning hours. The meetings were changed to early afternoon during wartime because of the curfew which was imposed. The membership dwindled during this time with a small group of faithful members, primarily women, keeping the Lodge alive. During 1943, 1944 and 1945 there were a number of very brief recordings stating the meeting was not held as there were not enough members present. Mildred Armi became the first woman Venerable of the Lodge on February 9, 1947. There was a push by the Grand Lodge Venerable to build up the membership. It was recorded the Grand Venerable would complete the initiation if at least 30 new members were added to the Lodge rolls. A large initiation was held with thirty-six members being initiated by the Grand Venerable, as promised, on June 10, 1948. These members included 3 of our 50+ members being honored today – Milton Casella, Paul Casella (posthumously) and Angelo “Jr.” Nardini. There were over 150 people present for the initiation. The Lodge met in the following places throughout the years: American Legion Hall, Dewey Hall, Knights of Pythias Hall, Woman’s Club House, Immaculate Heart of Mary Church Hall, Veterans Building and Hanford Fraternal Hall. The following persons held the office of Grand or State Deputy to our Lodge: Joe Finni, Gianni Gianelli, Angelina Russo, Miro Curti, Leonard Kranenburg, Lee Richmond, Pauline Richmond with our current State Deputy Leroy Beecher. Our Lodge always supports the efforts of our Lodge Queens. Jennifer Hansen Sheldon was the first Lodge Queen to become a Grand Lodge Queen. Our current Lodge Queen, Kelsi Christin Counter is our reigning Grand Lodge Queen. Loretta Martella was the first young lady to run for Queen in 1955 (our first Queen turned in $300, while Kelsi turned in over $19,000). Since 1955, we had nine of our Lodge Queens become members of the Queens Royal Court. Lisa Nardini Young, Marilyn Vanoni Miguel and Gina Giacomazzi Hageboeck (all of whom were Miss Americas – 1st runner up) had the fortune of riding on the Sons of Italy Float in the Rose Bowl Parade held in Pasadena. Four very dedicated persons became Grand Lodge Officers from our Lodge. Fred Giacomazzi, Lilia Giacomazzi, Tony Tesoriere and HazelAnn Christin were all elected as Grand Lodge Trustees. HazelAnn is currently serving as one of two State Trustees from the Central. Two other members of the Lodge were very active members at the State level: Luci A Dominico chaired the State Scholarship Commission and HazelAnn Christin chaired the State Youth Commission. We also have one of our Past Lodge Presidents – Roy Vanoni who became Grand Lodge President. The following members of the Lodge were honored by the United Lodges of the San Joaquin Valley from the Hanford Lodge for their dedication to the Order: Joseph Bertaina, HazelAnn Christin, Fred Giacomazzi, Lilia Giacomazzi, Janis Hansen, Frank Leoni, Eleanor Madruga and Tony Tesoriere. The Lodge started an Annual Chicken & Ravioli Dinner Dance in May 25, 1957, under the chair of Fred Giacomazzi. The cost of the ticket was $3.50 with over 400 tickets being sold the first year. The dinner dances were such huge successes, they were soon moved from the Hanford Fraternal Hall to the Civic Auditorium to accommodate more people. Only 600 tickets were printed so if you did not have a reserved ticket you were put on a waiting list. It was a very formal event with the women wearing ball gowns and the men either suits or tuxedos. It was the Hanford event of the year. Currently our main fund raisers are our semi-annual Spaghetti and Meatball Dinners as well as our Sauce Sales. We still make all of the meatballs by hand and the sauce making is a labor intensive project where fraternity abounds. We now serve over 800 persons at a dinner in both take-outs and dine-ins. We also sell over 300 quarts of sauce. We have activities which have become traditions at the Lodge. We start the year off with the Leoni family – Polenta Dinner. William & Eleanor Leoni started this tradition in the late 50’s early 60’s and it continues to this day with the Leoni family descendents at the helm. We hold two events during the summer which are the June Steak Barbecue held at Burris Park and the August Hotdog Roast, Swim Party and Bocce Tournament held at the homes of Lilia Giacomazzi and Don and Jackie Giacomazzi. The end of the year brings the traditional Thanksgiving Dinner and a Christmas Party complete with Santa. This year we are bringing back another tradition of a Ravioli Dinner to be held in October. The Lodge is very involved in Local, State, National and International Charities. The earliest charity we could find was the Cassino Memorial Orphanage. We support earthquake and flood victims in our native home of Italy as well as her in the United States. One of our long time charities has been the Children’s Hospital of Central California (formally Valley Children’s Hospital). 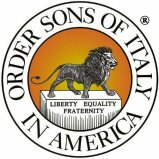 The Order Sons of Italy Western Foundation of which our Lodge is a part, established the hospitals Birth Defects Library which is kept current with the monies donated by the Lodges in the San Joaquin Valley..
Each month we choose a local charity to make a brief presentation at our meeting after which we present them with a check. Local charities include but are not limited to: Cancer Society, Episcopal Soup Kitchen, YMCA, Salvation Army, City of Hanford Carrousel Restoration Project, Hanford Police Departments D.A.R.E. program, St Vincent DePaul’s, Soroptimists Back to School Children’s Shopping Spree Project, and Sober Grad. We also give scholarships to deserving Italian youth in the Community. We take pride in being an active part of our community and participate in the major events such as the Homecoming and Christmas Parades and Relay for Life. The Hanford Lodge Youth group was founded in 1986 by Janis Hansen under the Presidency of Lilia Giacomazzi. The first Youth Group President was Cara Giacomazzi Fernandez. The Youth Group started with 12 members and currently has almost 50 members. Louise Draxler is the group’s current leader. One of the Youth Groups Charter Members – Mia Giacomazzi is the Italian Language teacher for the Youth Group. Our Youth Group is one of the largest and strongest in the State. Hanford is very committed to our youth members “The Future of our Order”. A great deal has changed since our Lodges inception. We currently have an animated webpage, our webpage, created and maintained by our webmaster Jim Venturino. We were among the first Lodges in the State to have a website. Our Lodge progressed from handwritten minutes in Italian to a website. We are proud of our Lodge and its progress but it would not have been possible without the wonderful persons who came before us who created the Lodge and helped to make it what it is today. We currently have many of the descendents of this special group of people in the Lodge. We are 160+ strong and growing.